Sarah has taken courses with dance anatomy expert Irene Dowd as well as other continuing education workshops including Gait, Scoliosis, and Neuromuscular conditions. Bio: Originally from Moraga, Sarah is happy to be back in the area after spending the last 6 years in NYC. Sarah had been exposed to different styles of Pilates growing up as a dancer, but started studying Pilates seriously while attending college. She realized the value of using Pilates as preventive medicine as she worked through a two-year hip injury before finally getting a correct diagnosis and having surgery. Pilates was also instrumental in her recovery and completely hanged her approach to dance and movement. Sarah completed the Fletcher Pilates Comprehensive Program of Study in 2009. 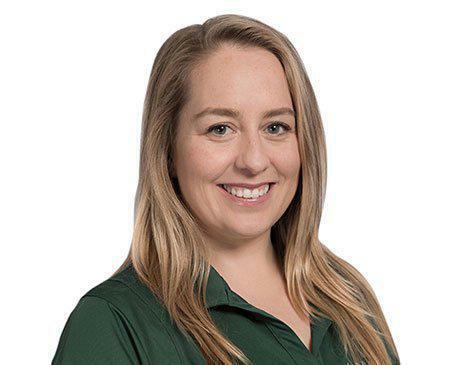 Sarah has special empathy for people with pain and chronic injuries and hopes to show her clients the value of awareness of subtle movements and adjustments in alignment. She works to give them tools to empower them to find ease of movement to live pain free, healthy, joyful lives. Hobbies: dancing and teaching dance, performing in musicals, playing ukulele, hiking and gardening. Awards and achievements: State Street Ballet Program Scholarship Student, University of Arizona Medici Award Recipient. EMC Actor.